The Newfoundland is a large dog under the working dog category. It originated in Canada bred to work for fishers in the Dominion of Newfoundland (a region in Canada). This dog is well known for its giant size, strength, loyalty, intelligence, and quiet disposition. It has an impressive weight of 100 to 150 pounds, with an average height of 66 to 71 centimetres. The Newfoundland is a gentle giant with a strong affinity with children. 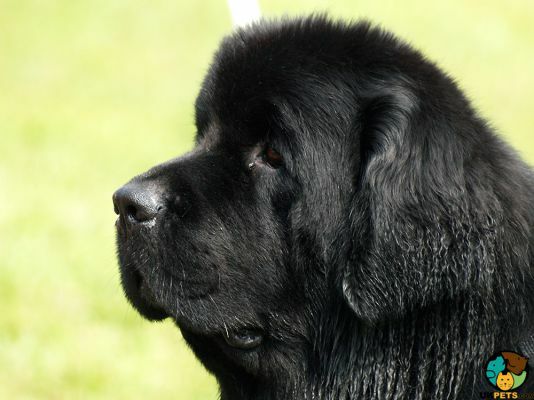 Are you planning to buy a Newfoundland dog? Read on to find more about this giant breed that is a natural babysitter. The Newfoundland originated from the coast of Newfoundland in Canada, where it was developed as a working dog, both on land and water. Although it is unclear how the breed came to be, most experts believe that it descended from the Tibetan Mastiffs and the now-extinct American Black Wolf. Another theory suggests that the breed came from Portuguese Mastiffs brought by Portuguese fishermen in the 16th century. 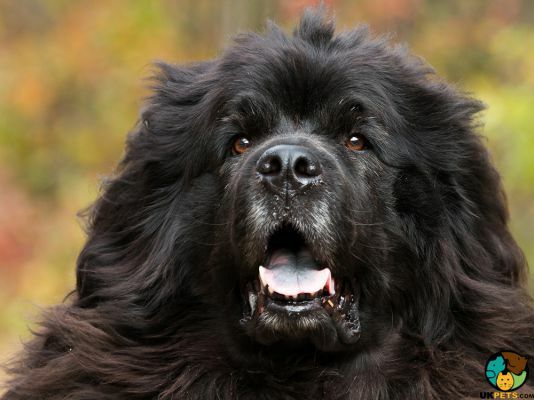 Others claim that the Newfoundland shares many physical traits with the St. Bernard and the English Mastiff with its stout legs, large heads, bull necks, and broad snouts. It was breed enthusiast George Cartwright who bestowed the name Newfoundland in 1775. In 1780's, the Newfoundland almost went extinct due to the government-imposed restrictions that forced Canadian families to pay taxes for keeping a dog. It survived extinction when Sir Edwin Landseer included the breed to many of his paintings from 1802 to 1873. His apparent favour of the breed contributed to its popularity. In fact, the "Landseer" Newfoundland (black and white variety) was given its name to pay homage to him. The first time the Newfoundland was shown in England was in 1860, while the first breed was registered in 1879 by the American Kennel Club. In 1886, the Newfoundland Club was created in the UK and is now the oldest stud club in Britain. The Newfoundland is truly a gigantic dog in many respects. Standing at an average of 66 to 71 centimetres in height and weighing from 100 to 150 pounds, it is a powerful and heavy-boned dog breed. Its head is as expected, massive and sitting atop a thick bull neck and a broad body. 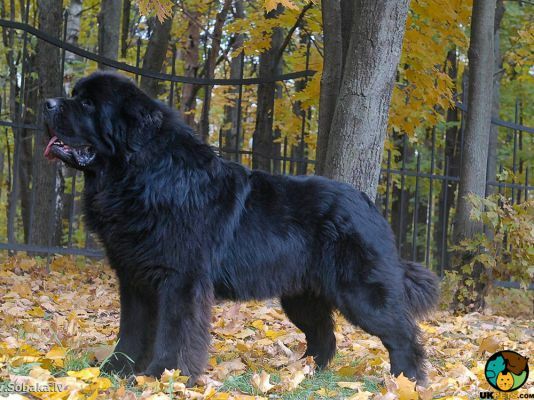 Also called the Newfie, this dog has a muscular body that is longer than it is tall. Despite its bulky form, its gait is effortlessly covering much ground. The Newfoundland wears a black, brown or grey coat with white markings. Its coat is comprised of thick, soft undercoat and a slightly long water-resistant topcoat that is either straight or wavy and harsh to touch. Since the Newfie has a thick coat, it will require frequent brushing, at least two to three times a week. Bathing is as needed or every two months is recommended. Its handsome coat will often need some professional grooming since keeping its fluffy coat neat is a daunting task for most owners. Don't forget to brush the Newfie's teeth at least twice a week so gum disease and bad breath are far from your worries. It is also crucial to clean the ears thoroughly with a vet-approved solution to avoid bacterial growth and potential infection. Lastly, the nails should be trimmed when they get too long or when you start hearing clicking sounds. Long nails tend to catch on things that may prove painful to the Newfoundland. 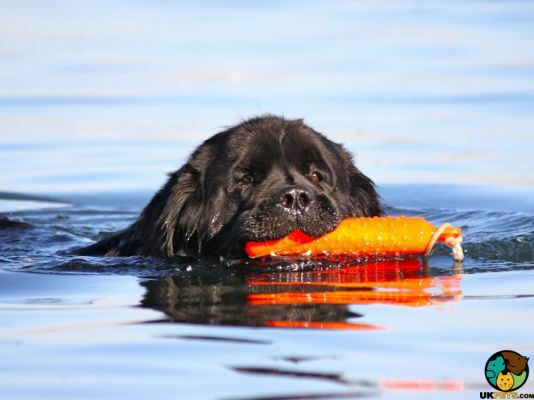 The Newfoundland is well known for its intelligent, loyal and affectionate nature. 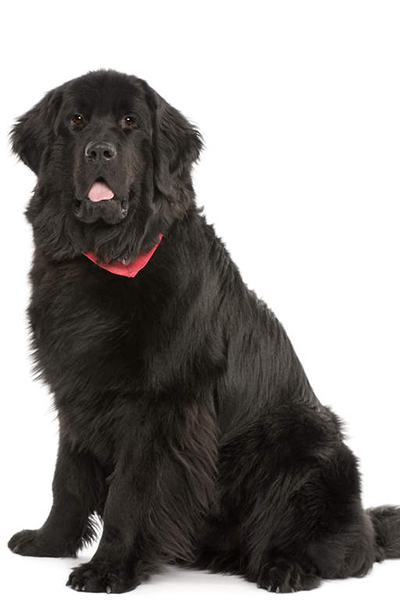 Undoubtedly a magnificent guard dog, the Newfie also has a gentle and calm disposition that makes it a popular family dog. Since it is a natural swimmer, being a water working dog, this massive breed is recognised as being a good assistant for families with a swimming pool or who enjoy going to the lake or ocean. However, it will be foolish to have the Newfie solely responsible to anyone's safety in the waters. Because the Newfoundland is intelligent, it is easy to train especially in the right hands. With this said, it is important that training and socialisation start at a young age to make sure Newfies grow into mature and well-adjusted dogs. They do not like to be left alone and will require plenty of physical and mental stimulation, as well as human contact. When left to their own devices, these dogs will likely adapt bad habits to entertain themselves. Newfoundlands are not called natural babysitters for nothing. These dogs are gentle giants, rarely showing any aggressive behaviour. Newfies thrive in a loving environment and have strong affinity with children. Although their massive size is something to consider when they are around toddlers or small children. Thus, it is a must that interaction is well-supervised to keep playtime safe and calm. 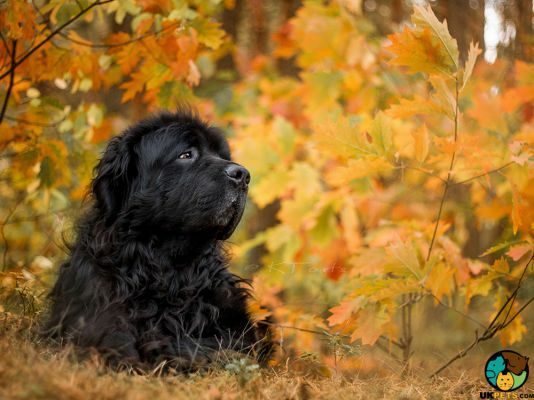 Other dogs do not pose a problem with the Newfie since this breed is generally friendly. However, care should be taken when new cats or small pets are introduced, just to be on the safe side. A typical serving for an adult Newfoundland is 4 to 5 cups of quality dog food, spread equally over two meals – morning and afternoon. How much to give your Newfie will depend on its age, gender, size, activity level, health and metabolism. If you are in doubt about its diet, don't hesitate to seek advice from veterinarian. The Newfie should be given a diet with balanced nutrients. Choose to buy commercial dog food for large breeds. It is prone to suffer from bloat and as such must never be free-fed. 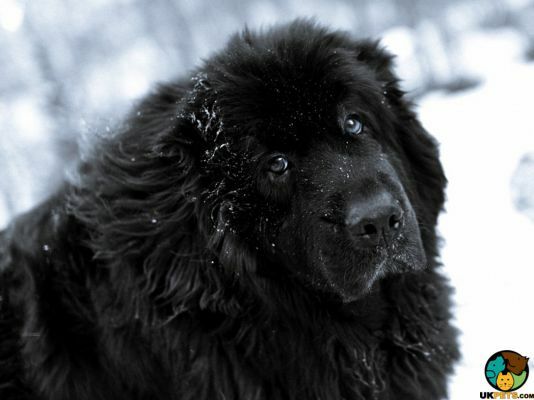 The Newfoundland has a lifespan of 8 to 10 years as long as it remains healthy. However, Newfies can also suffer from inherited health disorders and other diseases. These include Addison's Disease, Cataracts, Cherry Eye, Subvalvular Aortic Stenosis, Epilepsy, Hip and Elbow Dysplasia, Hypothyroidism, Cystinuria, Cancer, and Gastric Torsion or Bloat. Newfies will require regular exercise for at least 60 minutes a day. Since they are large dogs, they will also need lots of space to move around within a safe environment like a securely fenced yard or back garden. 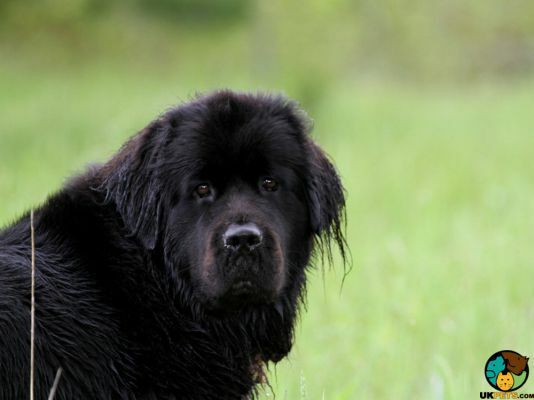 The Newfoundland's thick and oily double coat cannot withstand warm weather so care should be taken during exercise. It is best to take it for a walk early in the morning or later in the afternoon when the temperature is cooler. Large dogs are significantly more expensive since they require higher calorie intake and are prone to a numerous health disorders. When you buy a Newfoundland puppy, make sure it came from a reputable breeder with credentials. You don't want to care for a sickly puppy from a poorly kept puppy mill, or you'll suffer financially with countless vet visits. Most well-bred Newfie puppies will cost around £800 to over £1000, while pet insurance will set you back at least £60 to £105 a month. Food will generally cost more since a large Newfie will cost you about £70 to £100, almost double than most small to medium size dogs. Routine veterinary care is also one of the major costs that you will have to set aside a monthly budget. Veterinary visits including basic procedures will quickly cost you about £1,600 a year. Overall, you will have to budget at least £140 to £220 a month if you want to keep your Newfie happy and healthy. The Newfoundland is loyal and affectionate. It is a magnificent guard dog with a calm disposition. Its thick double coat is high-maintenance grooming-wise. They have strong affinity with kids and are natural babysitters. Newfies are intelligent and easy to train.